No bathroom is complete without a bath or a shower, but if you decide to fit these into your loft you will be limited as to where they will fit in, and you may have to govern the design of the loft around the bath or shower. Showers can be a great asset to any home and will increase the value of your property. Baths and showers will need to go somewhere close to your existing pipes, whether these are pipes that are already in your loft or ones that are downstairs will all depend on the design of your house. You could move the pipes about but this would be a lot harder work and not is not worth it unless there is a real problem with putting your bath or shower near to where the pipes are already situated. The best place for a bath fitting or any shower will be above your existing one, if you already have any showers on the floor below, this way you will be able to share the water pipes. Power showers are popular for loft conversions, electric showers are particularly popular in loft conversions because they do not rely on water tanks to create enough pressure for the shower. 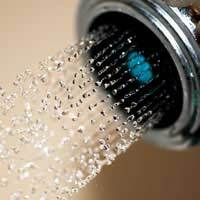 Electric showers will heat water taken from your mains and heated through an electronic water heating system. You will be able to control the pressure of your loft by altering the power shower. This method is a lot more reliable than using a water tank to heat all of your water; it simply would not create enough pressure for a shower in your loft. Because electrical showers can create such vast and constant power they need to be hooked up to the main central fuse box, which in most houses is situated downstairs. You will be able to hide the wire under your floorboards, but it may take a bit of jigging about in order to be able to attach the power cable safely to the shower upstairs. When it comes to building your shower rooms, the main thing you will need to consider is protecting your loft and the rest of your house from any leakages. You are not advised to use floor tiles on the floor of shower rooms as they may crack and a leak would easily come through into the room underneath, the same applies to any bath fitting. If you do want a walk in shower you will need to have a concrete floor, which many builders would recommend is just not practical. Your best option would is to have a bath and shower in one, that way you shower will run straight into your bath and you will only need to worry about your bath fitting. A combination bath and shower in your loft space can be a great addition to your conversion, you will need to make sure you speak to your builder about all of your options and which one will best suit your loft space. We have a shower in the loft and since it was installed over 5 years ago it worked for about 1 year. Electricians and plumbers have come and gone and Thames Water have examined the water pressure of the groud floor taps and concludedthat the pressure of water pushes upwards to 11 feet only and the shower is situatedat a slightly highl level. Wehave paid out so much moneyin trying to fix the situation.